Dr. Ruth Manorama is the JD(S) candidate from Bangalore South constituency. Known for her work with the marginalised Dalit and Dalit women, she has contributed immensely in breaking the elitist image of the women’s movement in India. She has worked on a range of issues including the rights of slum dwellers, domestic workers, unorganised labour etc. She deservingly has won the Right Livelihood Award, also known as alternative nobel. She stresses on the interconnectedness between these issues and the common cause that marginalised people share the world over. Her work crosses the borders between grassroots movements, mass mobilisation and international movements. She has always felt that women must be an active part of politics to make a change for a whole lot of people. Social service is in blood! Ruth Manorama was born in Chennai, Tamil Nadu, to Dorothy and Paul Dhanraj. Her mother was interested in women’s education and even resisted her conservative father to attend school and ultimately to become a teacher. Manorama’s father, a government servant in the postal department, had mobilised poor people in the villages near their locality to successfully struggle for rights to the land that they had been living on for generations. Ruth grew up seeing her parents engaged in active social work, and developed an early inclination for the work herself. Both parents encouraged Manorama and her sisters to study, have careers and be self-reliant. She is married to N P Samy, a trade unionist and the couple have two daughters. Core group member of the Asian Women’s Human Rights Council. Recipient of the prestigious ‘Right Livelihood Award’ also known as the ‘Alternative Nobel Prize’. One among the thousand women who were nominated for the ‘1000 women for Nobel Peace Prize’ campaign. Recipient of honorary Doctorates for ‘Outstanding Social Service’ from various Universities. Recipient of the ‘Rajyotsava Award’ and many other prestigious awards at the national level. General Secretary of Women’s Voice, founded in 1985, to work with women in slums, struggling for land, shelter and survival rights of the urban poor. President of the National Alliance of Women, set up following the Fourth World Conference of Women in Beijing in 1995 to monitor government performance on its various commitments to women and lobby for change. Joint Secretary of the Christian Dalit Liberation Movement, formed in the 1980s to mobilise Christian Dalits for affirmative action. Secretary of the Karnataka State Slum Dwellers Federation. Secretary for organisation building of the National Centre for Labour, an apex organisation of unorganised labour in India. President of the National Federation of Dalit Women (NFDW), set up in 1995. She was also absorbed into the vision group formed by the Karnataka, which was stayed by the High Court recently. Almost everyone was in for a shock when JD(S) chose to field her from Bangalore South, instead of fielding candidates based on usual caste-based, money-based calculations. 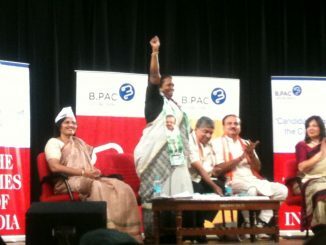 What did B’lore South candidates say at the BPAC meet? The BPAC-arranged candidate debate for Bangalore South made a big news. But did you have a chance to look at the promises of candidates? 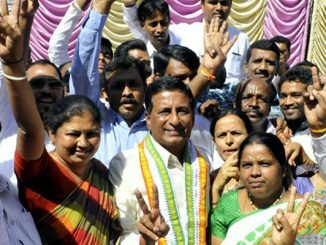 What is the growth in assets of re-contesting candidates from Bengaluru? Curious to know how much would be the asset growth of the candidates who are re-contesting? Here’s some data for you!